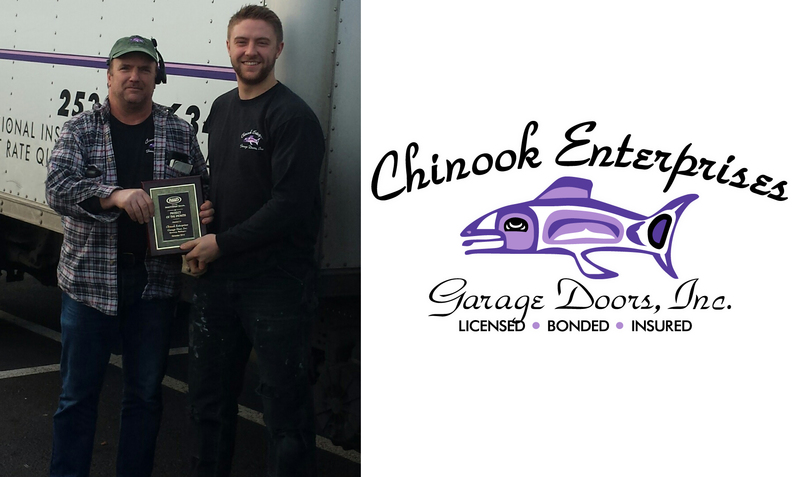 As December rolls along, it’s time that we reflect back on the month of November and congratulate our very first project of the month winner – Chinook Enterprises Garage Doors! 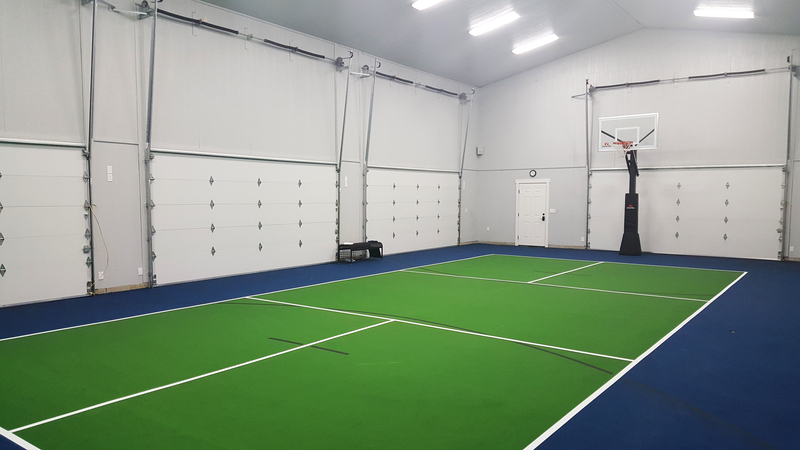 Their winning project was an indoor sports court built in Puyallup, WA by Better Built Homes, Inc. for a family of sports enthusiasts. 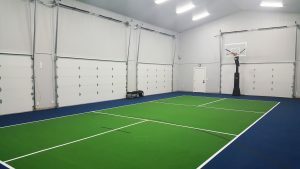 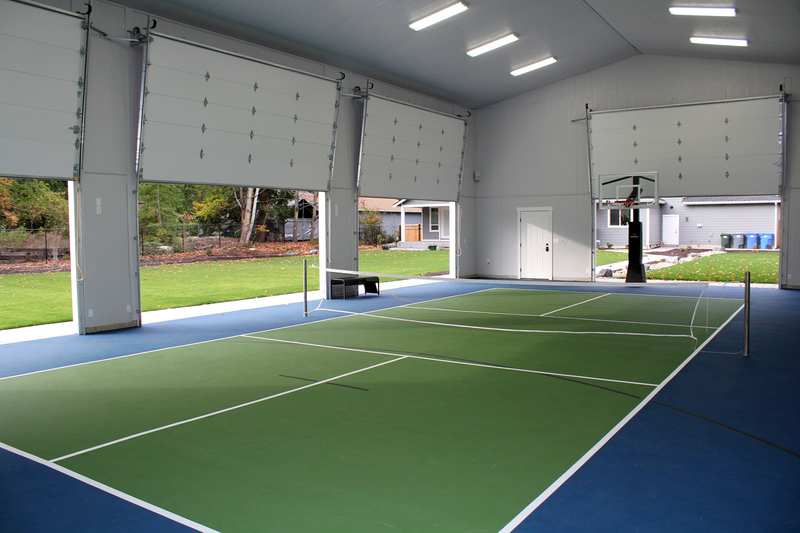 Equipped with four 16’x8’ Therma Tech II (Model 228 ranch panel) doors, this multi-functional court can protect from the elements on rainy days or let a breeze blow through when it gets too hot. Despite the difficulties of a high ceiling and additional framing needed for the vertical lift hardware, this project came together beautifully and the homeowners were extremely pleased with the end result. 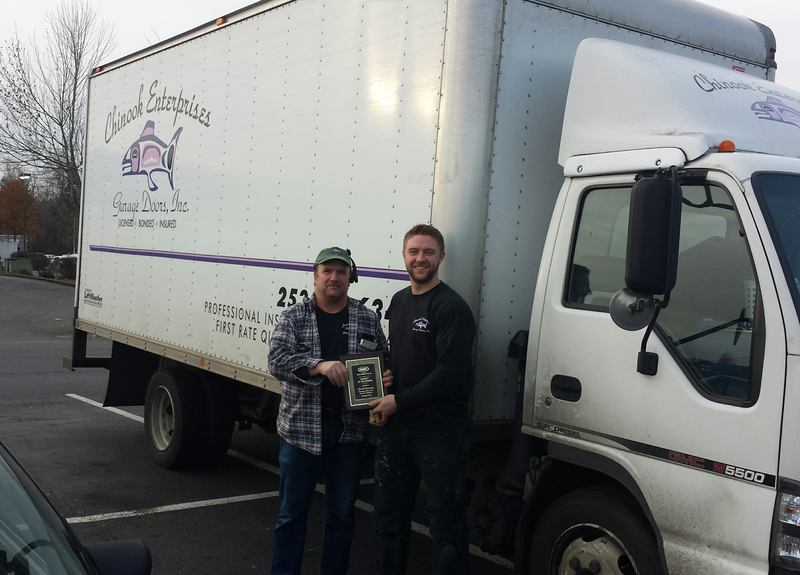 We are very proud to have been working with Chinook Enterprises since they first went into business. The company was started in Pierce County over 20 years ago by Konrad Schuman and after recently being joined by his son Kelan, they are still going strong today. 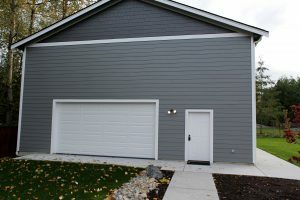 They are based out of Spanaway, WA and take on new construction projects, remodels and even some occasional retro work involving customizing openings or doors to help customers achieve their dream look. Chinook prides themselves on their quality of work and the personal relationships they develop with their customers. 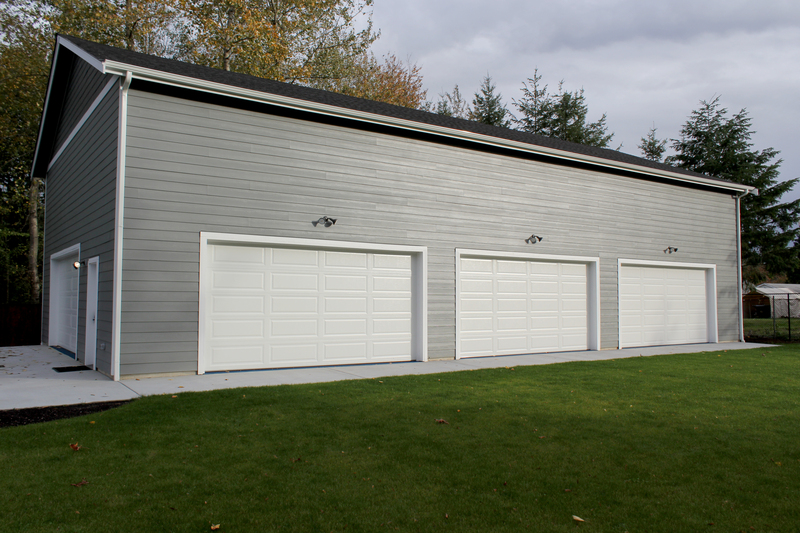 When asked about his favorite aspect of the garage door industry, Konrad replied, “Meeting new customers and working with them to make their home better”. 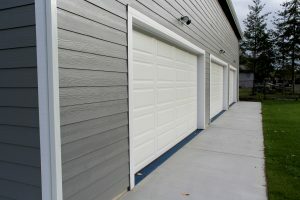 Looking ahead, you won’t see any shortage of unique and interesting work from Chinook Enterprises. 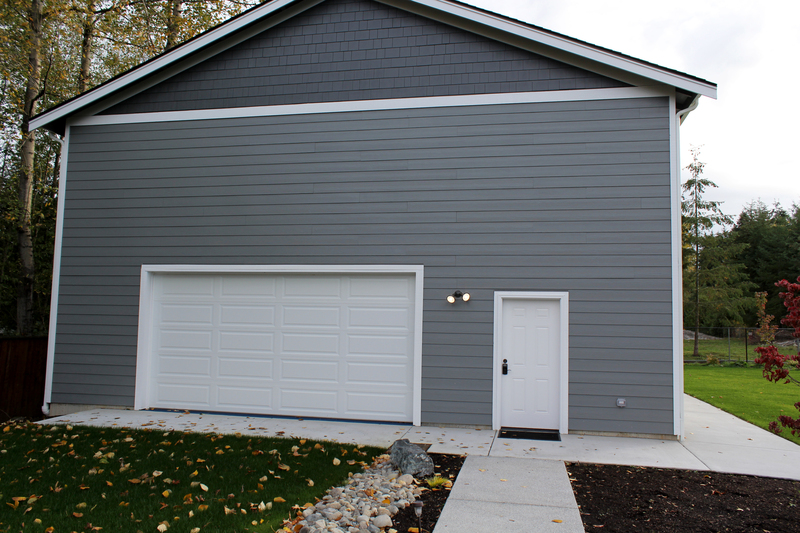 They are currently doing a project along Salmon Beach in Tacoma involving 16 of our aluminum and glass Modern Classics, and the doors are being brought in by barge! 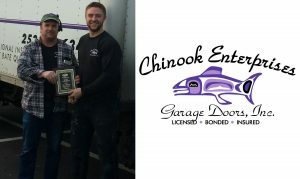 If you want to learn more about Chinook Enterprises or already have a project on your mind, check out their website and get in touch!